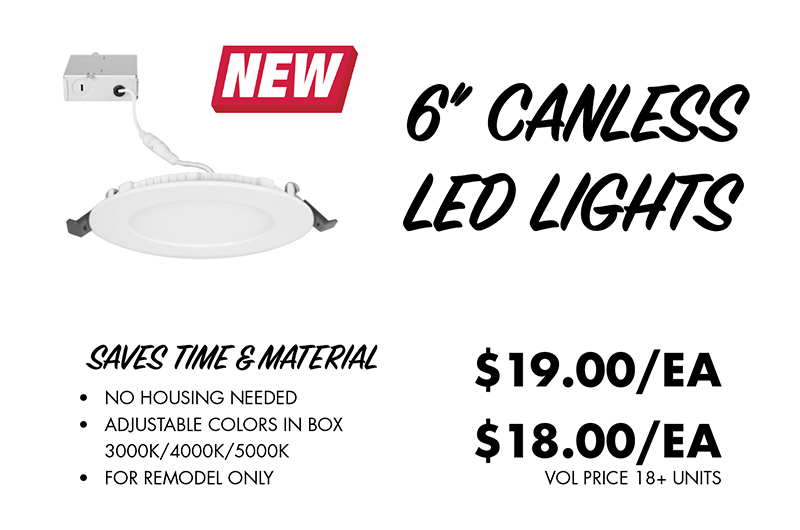 We just got these new canless LED lights in stock. These are great for remodel, and especially sloped ceilings, as they do not require housings. Each light is adjustable to 3 colors—3000K, 4000K and 5000K. ASK FOR STOCK AND PRICING.